It is so much fun to teach others how to sew but somethings it’s hard deciding on an easy project. 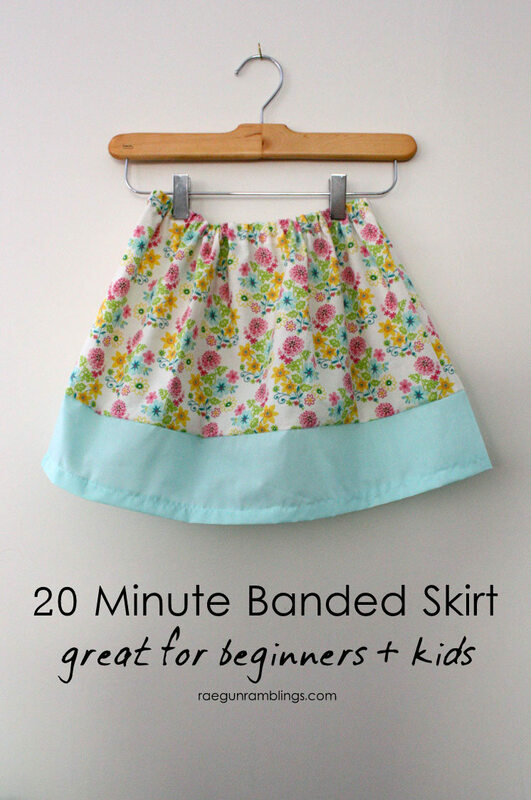 This simple banded skirt tutorial because it’s just straight lines but has enough of them to get your little student some good practice. This is my go to project I use to teach kiddos (and adults how to sew). See the full tutorial and tips on teaching it at from Rae Gun Ramblings.